2. Removed"Planet Bonus Gameover", which in certain situations will cause a never ending loop and ends with a mini dump. 3. Fixed all Dead ship textures from the Graveyard. Removed alpha from the "cl" texture which was causing ships to be tinted all team color. 4. Switched Graveyard ability back to Sins Plus version. I feel that it works better. 5. 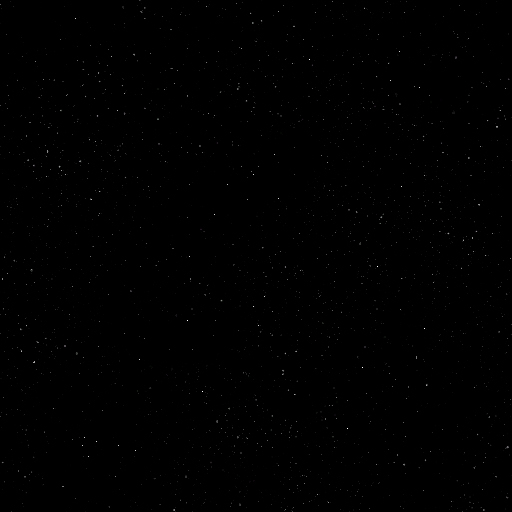 Removed neutral starbases from Ship Graveyards per the GSD file as they were not working properly. 6. Fixed file format error in Galaxy Scenario Def. 7. Trimmed the fat. This included deleting unused textures and fixing the ones that were fat which resulted in a loss of 58mb. This includes all DS maps and a Galaxy forge. This includes all Sol System Planets and Star, DS maps, 4 Celestial Bodies maps and a Galaxy forge. Alliance Hidden Agenda's 2 mod featuring 6 new Capital Ships with unique abilities and research. 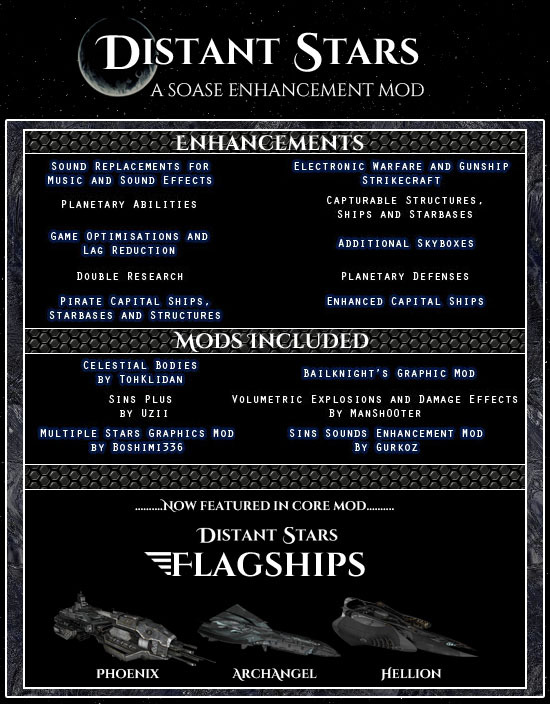 This Add-On works with the current Distant Stars Mod and Add-On's and is intended to help with lag. All sound files for the base SoaSE game and any for Distant Stars have been converted to (.wav) from (.ogg) and the Effects, Music, and Dialogue files from the "GameInfo" folder have been modded to read these new sound files. The Sound Add-On needs to be first in the order (or on top) to work properly, and works with any combinations of Add-On's listed above.As this contains all sound files from the game the download is [3.18GB].